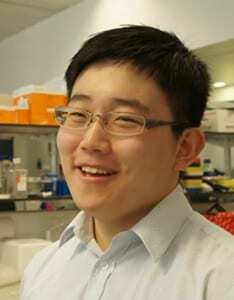 Baocong graduated with a BSc in Neuroscience from King’s College London in 2013, before undertaking a Master’s degree in Neuroimaging at the Institute of Psychiatry, Psychology & Neuroscience (IoPPN) where he investigated the test/retest reliability of diffusion imaging measure in patients with chronic pain under the supervision of Dr Matthew Howard. Baocong is currently working towards a PhD in the MRC Social, Genetic & Developmental Psychiatry Centre at King’s College London under the supervision of Dr Chloe Wong and Dr Robert Hindges. His project aims to investigate the role of epigenetic mechanisms in neurodevelopmental psychiatric disorders such as Autism Spectrum Disorder.